the new lyric season has begun for me in France with Lucia di Lammermoor 🙂 ! Indeed Andrei Serban’s production in Opera Bastille and a new production set-designed by Stanislas Nordey in Opera de Lille will be the first 2 operas of my the 2013-2014 season. Lille and Paris, Paris et la province…Paris where I have been working and Lille where I have been dwelling for years. I wanted to compare these 2 opera houses on social networks and I have ended up comparing all major lyric institutions of my beloved country :). Not surprisingly Paris-located lyric institutions are the most influent in social networks. Opera Bastille, Theâtre du Châtelet et Theâtre des Champs-Elysées rank on the Facebook podium. The major State opera house in France Opera de Paris is logically very much ahead regarding facebook fans. It has 5 times more facebook fans than the second one (Theatre des Champs-Elysées). Regarding twitter, it is the same story. Opera de Paris leads followed by Theatre du Châtelet and Theâtre des Champs-Elysées ! In the provinces, Opera de Lyon and Opera d’Aix-en-Provence are the lyric institutions having the strongest foothold in Facebook. Opera de Lille ranks number 9. Regarding the number of twitter followers, the first opera house outside Paris area is Opera de Lille ! 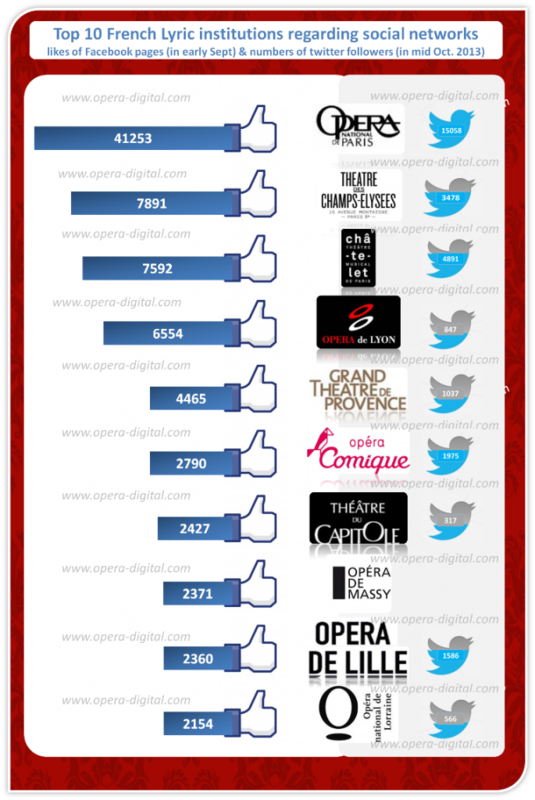 This balance of power between Opera de Paris and other French opera houses on social networks could seem unequal. However if you look at the numbers of facebook fans of major USA-located opera houses, it’s not. Indeed the Metropolitan Opera has 10 times more facebook fans that the second most important opera house in USA on Facebook (Dallas Opera). 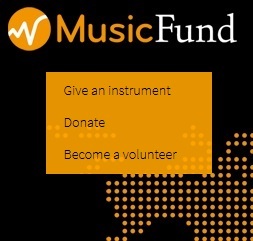 To conclude this little survey, I would recommend to opera houses located outside Paris area to continue and to accelerate involvement on social networks ! 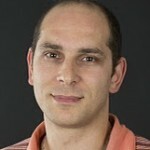 This entry was posted in Institutions & Digital and tagged facebook, Metropolitan Opera, opera de lille, Opéra de Paris, social media, social network, théâtre des Champs-Elysées, theâtre du châtelet, twitter by Ramzi SAIDANI. Bookmark the permalink.